Glyphosate is the world’s most heavily used herbicide. Its largest use is in agriculture, which increased sharply after crops were genetically modified to make them resistant to the chemical. In March 2015, the IARC classified glyphosate as probably carcinogenic to humans (Group 2A). It said there was limited evidence of carcinogenicity in humans for non-Hodgkin lymphoma and that the substance also caused DNA and chromosomal damage in human cells. At the same time the IARC did not measure the likelihood that cancer will occur as a result of exposure to the agent and set no safe exposure level. 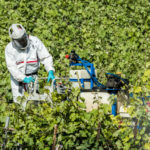 In Europe, including Switzerland, the job of setting allowable pesticide reside levels, known as Maximum Residue Levels (MRL), is left to the European Food Safety Authority (EFSA). According to the EFSA, MRLs are not focused on consumer safety. They reflect the minimum level of a pesticide that can be used to achieve effective plant protection without posing a risk to consumers. MRLs are regularly and successfully challenged by pesticide makers. EC Commission Regulations state that any party having a legitimate commercial interest may submit an application with scientific studies that demonstrate that its use will not pose unacceptable risks to consumers. As a result, MRLs vary wildly depending on the food. Crop MRLs for glyphosate range from 0.1 mg/kg to 50 mg/kg, a 500-fold variance. Part of the EFSA’s safety assessments appears to rest on assumptions on how much of a food the Authority expects an average person to eat, something that will provide little comfort to those who like foods with high MRLs such as wild mushrooms (50 mg/kg), oats (20 mg/kg), barley (20 mg/kg), sun flower seeds (20 mg/kg), soybeans (20 mg/kg), sugar made from beet (15 mg/kg), wheat (10 mg/kg), canola seeds (10 mg/kg), mustard seeds (10 mg/kg) and lentils (10 mg/kg). This EFSA document shows how a large agrochemical company successfully achieved a 100-fold increase in the MRL for lentils. The recent Swiss study done for the Swiss government, involved taking 243 food samples from food retailers across Switzerland. Sample selection was biased towards products most likely to have the highest glyphosate residues. 60% of samples showed no detectable glyphosate residue. The other 40% showed levels ranging from 0.0005 to 2.948 mg/kg. 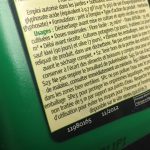 None exceeded european MRLs – MRLs are not focused on consumer safety. They reflect the minimum level of a pesticide that can be used to achieve effective plant protection without posing a risk to consumers. The two samples with the highest glyphosate concentration were chickpeas from Canada (2.948 mg/kg) and chick-pea flour (2.756 mg/kg) made in the UK from chick-peas of unknown provenance. It is concerning that food of unknown origin can be sold in Switzerland, and disappointing that the study does not reveal the list of products it tested. Unlike many countries, Switzerland banned the use of glyphosate on crops just before harvest. Pre-harvest crop spraying kills the plant and accelerates the harvest but increases herbicide residue. 86% of organic samples (37 of 43) showed no detectable glyphosate residue. The highest residue (0.0123 mg/kg) in the remaining 6 samples was found in an organic pasta product containing durum wheat from North America and Europe and eggs from Europe. Currently, there are no specific legal maximums for organic food. 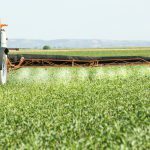 When trying to avoid glyphosate, buying organic produce will help, but in the absence of food labelling laws requiring a list of pesticides used in production, it seems that aside from buying food directly from a farmer you trust, or growing it yourself, there is no way to be completely sure you’re not eating the chemical. In addition to glyphosate, the EFSA database lists more 600 other pesticides used on food – the IARC cannot cover all of this. In a press release in relation to its work on glyphosate, IARC says that given its limited capacity, it has not tried to develop an extensive media campaign to present its position, or to counter all industry-sponsored attacks in the media. For those, without gardens or close farmer friends hoping to avoid pesticides, the food lottery continues.